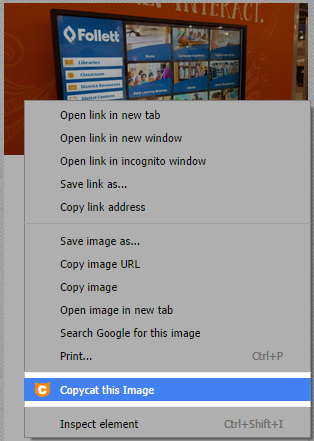 Copycat Chrome Extension allows a user to select text and right-click to clip the text into the extension, additionally they can right-click on images and clip the images as well. With the ability to paste those images/text into any word editor online (google doc, office365, etc.) or offline into Microsoft Word. 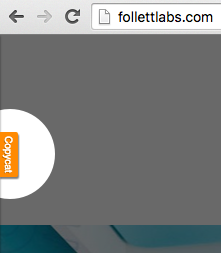 There are two use cases for this chrome extension. The first is Teacher who create their own content by taking resources from other websites and cobbling together a lesson plan or a guide on a particular topic. Using Copycat Teachers can clip paragraphs and images for use later. Another use case is for students to use this when doing research papers and citing references. Other features include searching, categorizing and organizing clips by date. With the many options available, you can configure the extension’s behavior to suit your needs. 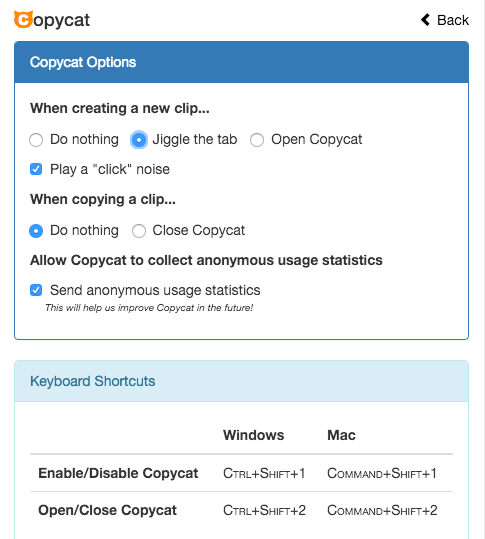 We have published Copycat to the Chrome Web Store, you can find it by searching for “follett” or clicking the button below.